Pages tagged "safe drinking water"
(Calif.) Drinking fountains at some schools in Fresno Unified have been shut off for nearly two years due to lead and uranium contamination in the water. 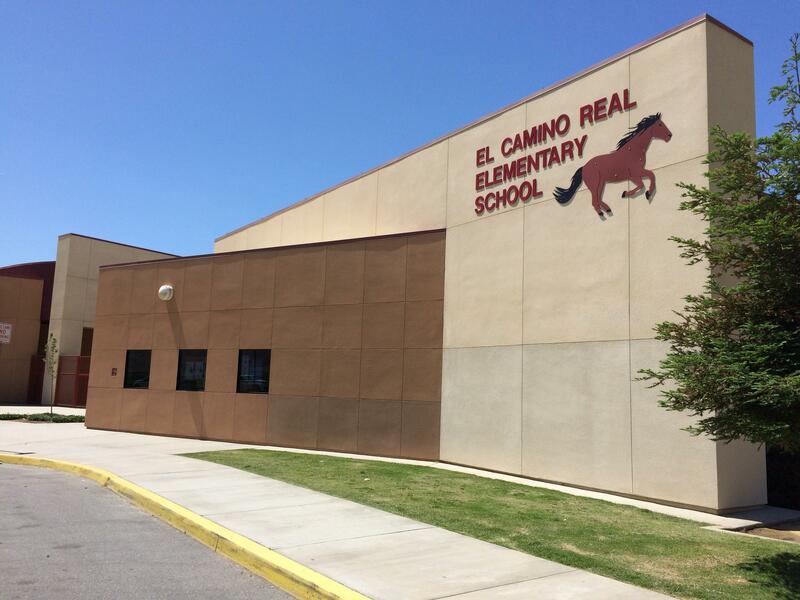 El Camino Real Elementary School in Arvin, an agricultural community near Bakersfield, has given students durable water bottles and installed state-of-the-art filling stations that filter out harmful levels of arsenic found in the water supply there. And, just last February, Healdsburg officials announced that they had begun providing bottled water to students last fall after detecting lead contamination at the elementary school’s drinking fountains. These are but a few of the estimated 980 to 1,690 California schools possibly impacted by unsafe drinking water between 2003 and 2014, according to a new report state lawmakers are using to push for funding to help districts provide clean water. Last week, the Assembly Budget Committee included in its 2016-17 funding plan $10 million for a grant program to provide filtered water filling stations at more than 100 of the most severely impacted schools – most of which, according to the analysis, are in the state’s Central Valley. Multiple legislative attempts over the years to mandate a statewide school water testing system have failed to overcome the barrier of costs, ostensibly hundreds of millions of dollars that would be needed not only implement a new program but to upgrade or replace decades-old infrastructure likely contributing to the contamination. The 2014 Flint, Michigan water crisis, however, has bolstered efforts both in Congress and in individual states to pass school water quality testing laws. No states require schools to test their water for lead, according to a recent story from the Associated Press about schools in Washington state. Flint residents – including some 6,000 to 12,000 children – were exposed to dangerous levels of lead when the city in 2014 switched to a new municipal utility that used a different source – the Flint River – to supply water. Water officials failed to add an anti-corrosive material and the improperly treated water supply caused lead to leach from aging pipes into homes, schools and businesses. Experts agree there is no safe level of lead. In children, the highly-toxic metal can cause lasting problems with growth and development that can affect behavior, hearing and learning as well as slow their growth. In adults, lead poisoning can damage the brain and nervous system, the stomach and the kidneys, according to medical experts. It can also cause high blood pressure and other health problems. The Environmental Protection Agency sets legal limits on over 90 contaminants in drinking water. The legal limit for a contaminant reflects the level that protects human health and that water systems can achieve using the best available technology. EPA rules also set water-testing schedules and methods that public water systems must follow. According to the Community Water Center’s Rempel, findings from the group’s new analysis should serve as a wake-up call for state officials. The 979 to 1,688 schools identified as having possibly been impacted by unsafe drinking water represent up to 24 percent of the schools reviewed in the study, researchers point out. “That means these schools were correlated with a water system that served water that violated a primary safe drinking water standard,” authors wrote. Half-a-million to more than one million students attended schools whose water systems did not always meet primary safe drinking water standards, according to the report. Bacterial and arsenic violations were the most common types of violations impacting schools, followed by the pesticide DBCP, disinfectant byproducts, and nitrates. Neither the state nor local jurisdictions maintain a record of school water system providers, so the study matches 6,974 California schools with public water systems through both available public information and spatial correlation. “It then uses spatial analysis to overlay water quality violations to assess the magnitude of water quality violations on schools,” researchers said. Legislation by Assemblyman Eduardo Garcia, D-Coachella, would authorize a General Fund expenditure of $10 million – money that schools could use install filtered water bottle-filling stations, new drinking water infrastructure, point-of-use or point-of-entry treatment devices or plumbing and repairs. The investment, supporters note, could provide funding for roughly 1,000 filtered water bottle-filling stations, enough for each of the 103 to 144 schools impacted in 2014 to install seven to nine safe water access points. The analysts also pointed out that school water-quality problems could actually be worse than the report indicates depending upon the amount of lead and copper previously used in pipes and drinking fountains. These contaminants were not included in the study because there are no state-wide monitoring or tracking programs for these distribution system hazards in schools. Six to 9 percent of schools were impacted in multiple years, some for a decade or more. The number of schools impacted by recurring bacterial violations (i.e., the water systems serving them experienced bacterial violations in more than one year) was between 254 and 332; 177 to 207 schools were impacted by recurring arsenic violations. While the problem exists statewide, the Central Valley had both the greatest number and highest percentage of schools in the region impacted by unsafe drinking water. One in four schools in the Central Valley and one in three schools in the Tulare Lake region were impacted. Many of these students also suffer from other forms of pollution including some of the worst air quality in America and other environmental health hazards. The 320 schools that still operate their own water systems (e.g., a single well run by the school) were more likely to have a water quality violation and to have recurring violations than schools receiving water from larger community water systems. In addition to recommending that the legislature appropriate funding for water filtration systems, authors of the study also call on the State Water Resources Control Board and the California Department of Education to work together to develop a monitoring and tracking system that includes testing for lead and copper. They also say decision-makers should target resources to schools and small water systems to help them consolidate into larger regional systems that can more reliably provide safe water. 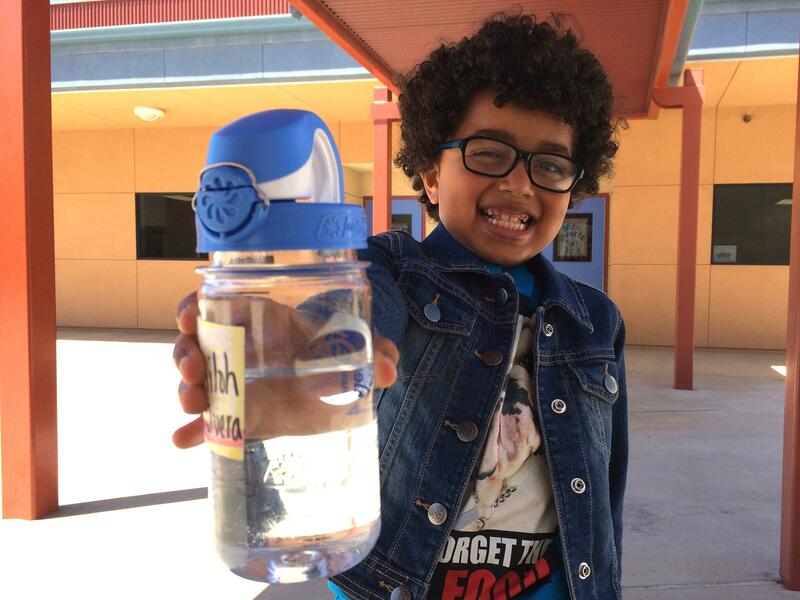 The Community Water Center, a nonprofit advocacy group based in Visalia, produced the school water survey in partnership with the Environmental Justice Coalition for Water, which is based in Sacramento. The state estimates that over a million Californians lack access to safe drinking water. After 15 years with arsenic contamination, one small Kern County community took the struggle for clean water into its own hands--in a campaign that could serve as a role model for others. It’s recess at El Camino Real Elementary School in Arvin and the courtyard is packed. Kids play tag and tetherball, and laughter echoes throughout the yard. So does another, more subtle sound: the trickle of water at drinking fountains and water bottle filling stations. The kids know to get a drink when they need a break from the sun. That may sound totally mundane, but a year ago, 11-year-old Johana Mendoza wouldn’t touch the school water. More precisely, it was contaminated—with arsenic. It’s in the drinking water in this rural, agricultural town of 20,000 people. Arsenic has been a problem here since 2001. Before these kids were even born. But now, 15 years later, a new advocacy campaign has temporarily solved the problem—at least in schools. They’ve installed state of the art water filters, given kids durable water bottles, and installed stations where students can refill those bottles. And overlooking every one of those stations is Wally the Water Droplet, a smiley little cartoon. The students are taught: only drink the water if Wally’s there. This is all a result of Agua4All, a collaboration between non-profit advocacy groups and concerned residents. So far, Buck and her associates have installed over 140 filling stations and 80 filters in schools and public spaces like parks. And Wally the Water Droplet? He plays a very important role. Agua4All is the product of over two years of planning and more than $2 million in grants and donations like water bottles. You might be wondering: why did it come to this? Lawmakers passed policies like the Safe Drinking Water Act and the Human Right to Water Bill to protect communities like Arvin. And yet, it was still up to a group of advocates to raise their own money and install their own filters. But even though these laws are huge steps forward, says Buck, they’re still vastly underfunded, and community efforts like Agua4all may bring change faster than government agencies can. The EPA recognizes the problems here in California. Jared Blumenfeld, an EPA administrator in charge of a number of western states, says the agency is putting pressure on California to prioritize smaller communities like Arvin. He says Agua4All has been a huge success, and it could be a model for other communities lacking money for big infrastructure upgrades. But as he said at an Agua4All rally last month, even this shouldn’t have been so hard. 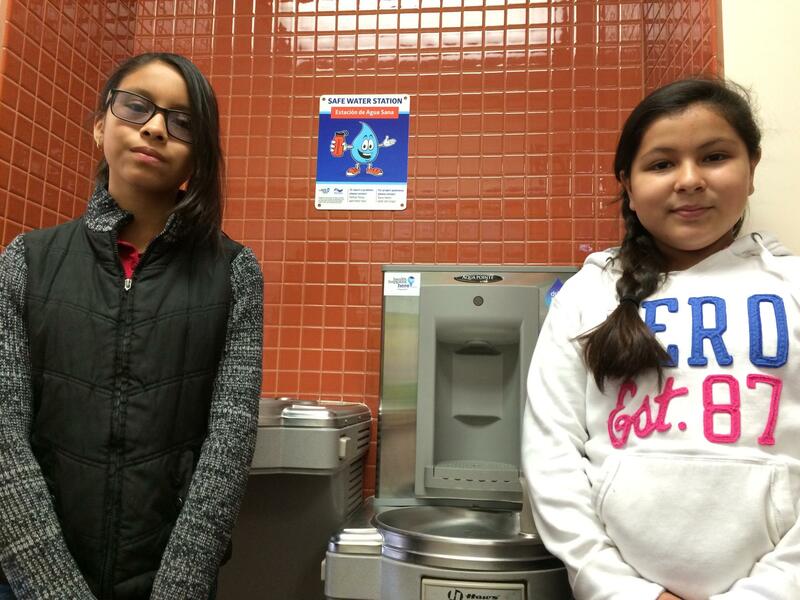 Agua4All has made many schools and public spaces safer. Now, residents just need to wait a little longer for arsenic-free water in their homes. The city is drilling new wells, and so far, arsenic levels are well within the safe zone. If all five wells come up clean and clear, the rest of Arvin could get new drinking water as early as 2018. Sacramento, CA – Students at as many as 1,600 California public schools may have been impacted by water that did not meet primary drinking water standards between 2003-2014, according to a report released today by the Community Water Center and the Environmental Justice Coalition for Water. The report also found that many of the water supplies serving these schools have repeatedly violated drinking water standards over multiple years, some for a decade or more. The report found that as many as 24 percent (1,688 schools) were impacted by unsafe drinking water between 2003 and 2014. These schools were likely served by water systems that violated at least one primary safe drinking water standard. Neither the state of California nor local jurisdictions maintain records of school water system providers, so the report matched 6,974 California schools with the public water systems providing their water supplies, and then used publicly available data to determine which schools were issued violations of primary safe drinking water standards between 2003-2014. This first-of-its-kind report provides Californians with insights into a statewide problem that has largely gone unmonitored and put students at risk for too long. As many as 1,048,222 students attended schools impacted by water systems that did not meet primary safe drinking water standards during the report’s timeframe of 2003-2014. Multiple-year violations were found in up to 9 percent of schools, with some schools impacted for a decade or more. Address immediate needs: Provide funding for safe water access points at schools where the water provider is unable to reliably provide safe drinking water or resolve problems in a swift manner. Ensure adequate tracking, transparency and public reporting from state agencies about water quality at schools. Develop a statewide monitoring and reporting system specifically for lead and copper in schools. Require schools to report whether they provide functioning and appealing safe water access points (e.g., fountains or filling stations) to the public and the state. Promote sustainable, community-wide solutions: The best solution for schools is ensuring safe, robust and resilient community-wide water systems. In partnership with many non-profit advocacy groups, the Community Water Center is promoting a $56 million, one-time package of budget and policy proposals designed to address the lack of safe drinking water access in schools and secure the human right to water for all Californians.